I am extremely excited for what's in store for our customers in the second half of the year. We are taking the necessary steps to increase efficiency with shop improvements, strengthening the skills of our machinists and continuing to implement the Rhinestahl Way. At Rhinestahl AMG, we are driven to serve our customers by living the Rhinestahl values. Our core values are not lip service but a daily pursuit and promise to our customers. Every day we work diligently to exceed expectations - one precision manufactured part at a time. The steps we are taking to enhance our expertise are directly aligned with our promise to put our customers at the center of everything we do to create a lasting impression. We are confident that these new developments will allow us to better serve you by increasing operational exellence. We look forward to sharing our story and working hard to strengthen our relationships with each and every customer. It is astonishing to see the tremendous work that happens when multiple teams within Rhinestahl AMG collaborate to execute a customer project. Recently, we had a great example of how teamwork and clear focus helped a customer overcome an emergency tooling situation. A customer contacted us for help to address a critical and time-sensitive need. The AMG team sprang into action to manufacture and deliver the requested tools. The result was an exceptionally happy customer. The project started with the placement of an emergency tooling order from a high-profile customer. The customer needed AMG's expertise to produce new tooling numbers with the feat of estimating, routing, and executing at the machines, quality, and assembly areas. Four sets of new parts were required in seven days; subsequently, three more sets were needed in an additional seven days. The order came in late on a Friday so the engineering department spent the weekend getting the job prepared and handing routers off to production as materials arrived. Every department was in sync to pull off this job - engineering, operations and quality. The entire AMG team worked 24-hours a day, for two weeks, to manufacture and inspect these tools in a tight time frame. Last minute issues and difficult parts to manufacture were completed with exceptional quality and delivered on-time. 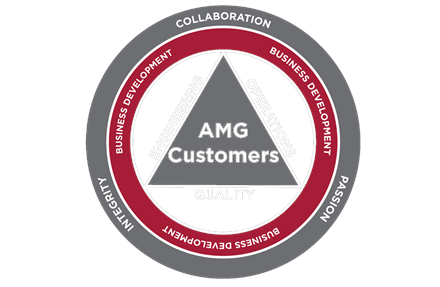 This example embodies Rhinestahl AMG's core values -- PASSION, COLLABORATION, and INTEGRITY. Rhinestahl AMG continuously strives for operational excellence. In an effort to increase overall productivity and support our long-term strategy for growth, Rhinestahl AMG purchased an additional CMM machine. Paired with individual measurement programs, this CMM can run for hours unmanned allowing quality inspectors to accomplish other critical tasks which creates more opportunities to perform complex work for our customers. These two investments are part of our effort to serve our customers through advanced efficiency and operational excellence. Earlier this year, Rhinestahl AMG created the foundation for the Rhinestahl Way. The Rhinestahl Way is a custom training program to continually advance our employees knowledge in precision manufacturing, and to enhance operational excellence. As part of this program, Rhinestahl AMG invests in ongoing employee education and training. Did you know that Rhinestahl AMG has the capacity to manufacture complex parts used for military and space applications? The Mazak INTEGREX e-670H Multi-Tasking Machining Center is a fusion of a CNC turning center with a machining center. Combined, they form the most advanced Multi-Tasking machine in the industry. This machine allows our expert machinists to manufacture parts in one step that would normaly run on multiple machines. 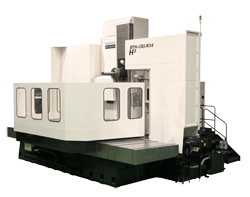 The machine improves quality by transitioning from a turning operation to a milling operation without releasing the part. With the Mazak Integrex e670, we can deliver precision and performance for heavy, shaft-type workpieces up to 160” in length for your military and space applications. Interested in learning more about the high-tolerance parts Rhinestahl AMG can produce for your military or space needs? 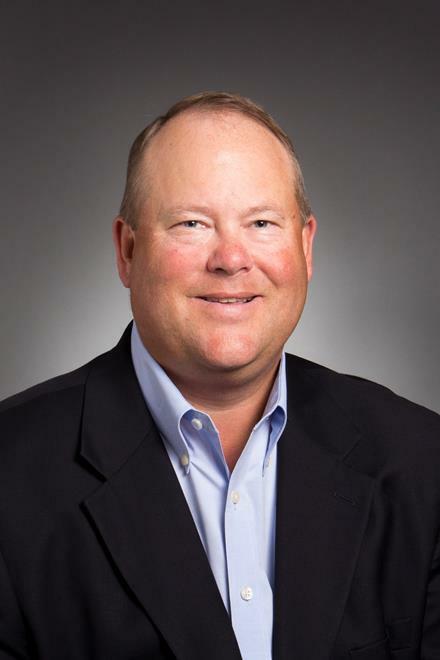 Pat Sullivan, Director of Sales, will consult with you to determine how AMG can handle your toughest advanced manufacturing needs with industry-recognized expertise. You can email Pat at pat.sullivan@rhinestahl.com or call his office at 513-204-0316. 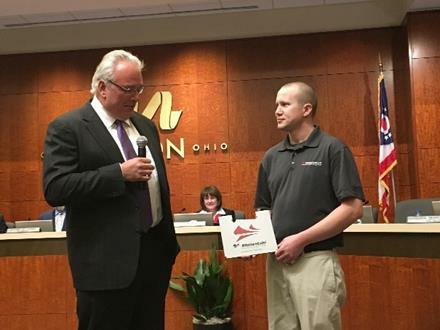 Rhinestahl is proud to partner with the City of Mason, Ohio, in support of their Emergency Operations Center (EOC). The city just completed a nine-month renovation that provides state-of-the-art technology for its command center used for large event management, emergency situations, and city planning. Rhinestahl AMG's machinist, Jared Bonar, designed and manufactured one-of-a-kind floor plates for the new center. Jared's skill and expertise are first-rate. These unique coverings showcased Jared's superior trade skill. Jared joined the Rhinestahl AMG team in 2014 and was recently promoted to lead the Hurco and Trak machine areas. He has been a huge part of the Rhinestahl AMG business and the team is proud to have his work displayed at the Mason EOC. Thanks to our customer's trust and support, Rhinestahl AMG is pleased to announce that it has been named one of Greater Cincinnati's fastest-growing private companies. The Business Courier's annual Fast 55 program, now in its 14th year, recognizes Cincinnati's fastest-growing private companies. 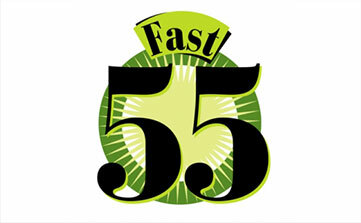 "We are very proud to be on this year's list of Fast 55 companies," said Dieter Moeller, Rhinestahl Corporation's CEO. "Our business has seen tremendous growth in the past two years and it is a great honor to receive this recognition. We have grown our turbine engine tooling business with three multi-decade agreements, and our advanced manufacturing business is providing industry-changing solutions for tomorrow's space, aerospace, defense, consumer and transportation industries. Our employees work tirelessly every day to exceed our customers' expectations; we would not have this growth and success without them." For more information on Rhinestahl AMG's precision manufacturing capabilities, please visit www.rhinestahl.com/amg/overview or contact Pat Sullivan at 513-204-0316. Copyright © 2018 Rhinestahl Corporation. All rights reserved.